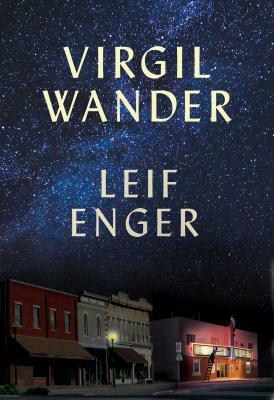 Virgil Wander by Leif Enger is a very highly recommended, charming portrait of a man and a town. Virgil Wander was just released from the hospital where he landed when he accidentally drove his car off a cliff into icy Lake Superior. Rumors of his demise are flying around the small town of Greenstone, MN, but Virgil is very much alive. He sustained a concussion, has short-term memory loss and a feeling that the life he is stepping back into, his life, isn't really his after all. He also may be having hallucinations. For twenty-five years, Virgil has been the owner of the Empress Theater and a part-time city clerk. Now, as he recovers, he also needs to try and put the pieces of his life back together. Virgil ends up taking on a kite-flying roommate, Rune Eliassen, who is looking for information on his missing son, Alec Sandstrom. Additionally, the novel contains a cast of memorable, perfectly captured characters: Nadine and Bjorn, Tom, the Pea family, Jerry Fandeen, and Adam Leer, to name a few, as well as the town of Greenstone. This is a wonderful portrait of a town and its quirky residents. The story is told with intelligence, humor, affection, and just a touch of melancholy. It is the portrait of a small town and the residents, but it is also about rebuilding your life, defining friendship and family, taking chances on change, finding delight in things like flying a kite, and living your life as it happens. While the plot meanders slowly through the novel, the narrative is simply charming - and needs more adjectives - delicious, engaging, appealing and refreshing. Enger's writing is absolutely superb. Virgil Wander really is a lovely, delightful novel that captivated me entirely. Disclosure: My review copy was courtesy of Grove/Atlantic.